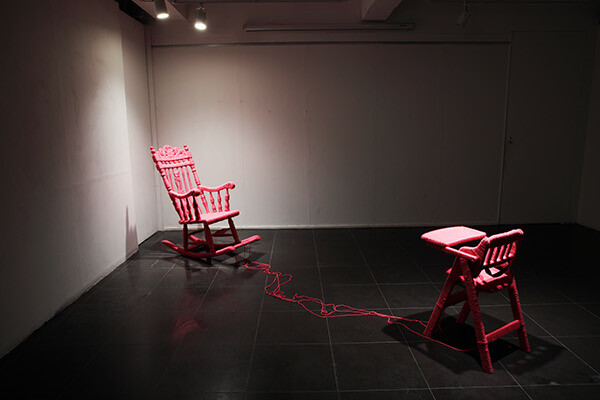 I wanted to express life. 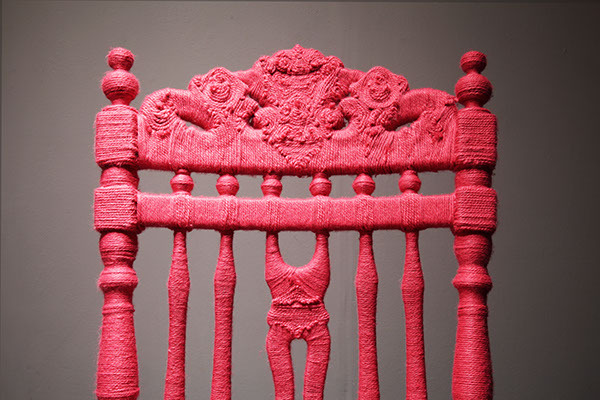 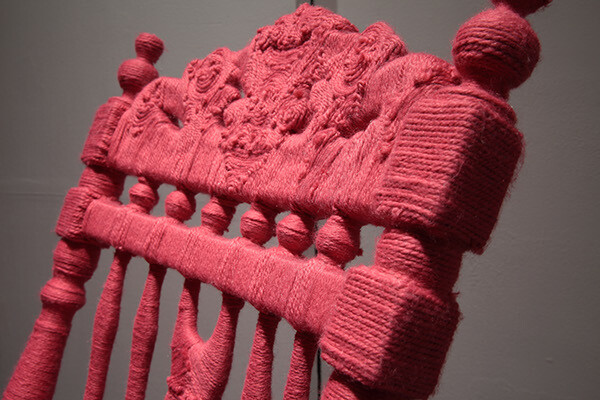 As I looked at these chairs, I imagined being a grandmother one day, and knitting while sitting on it. 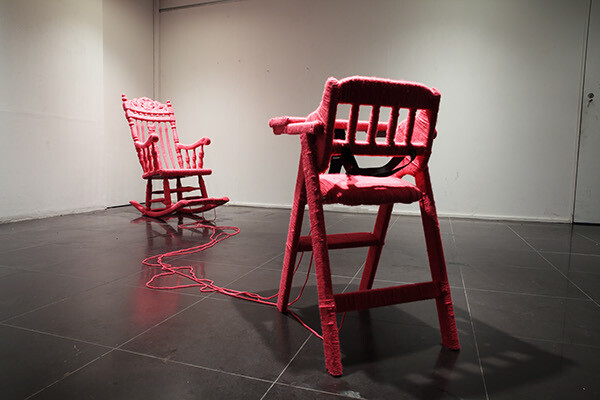 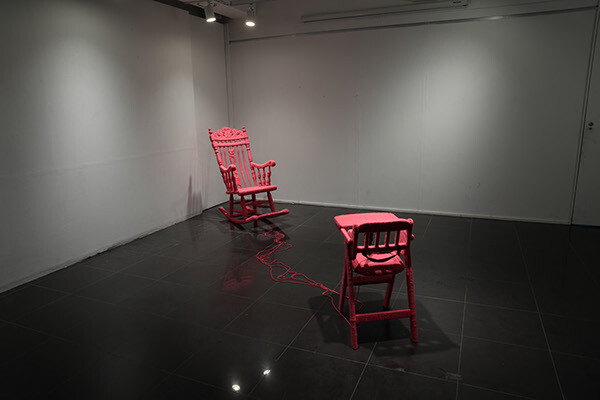 The yarns wrapped around the chairs indicate the life stories and the times that have passed by. 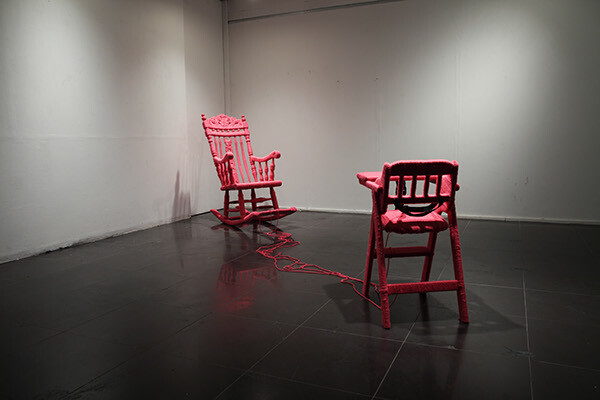 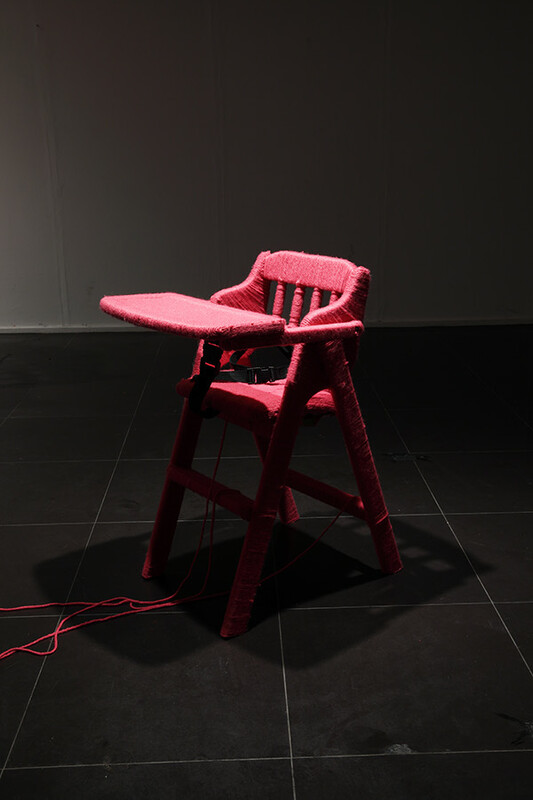 The rocking chair and the baby chair symbolizes the advanced years and infancy, respectively. 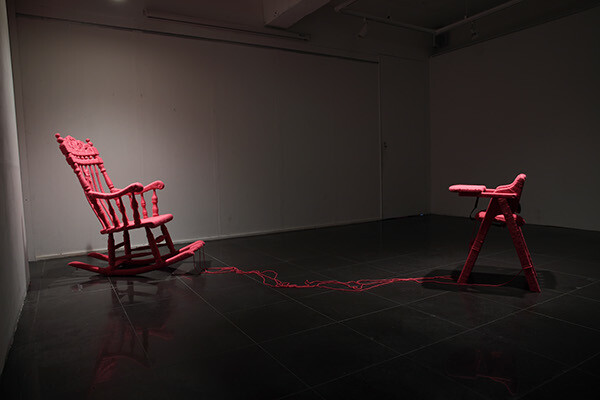 The connection between the two life stages through the passage of time is represented through the linked yarn. 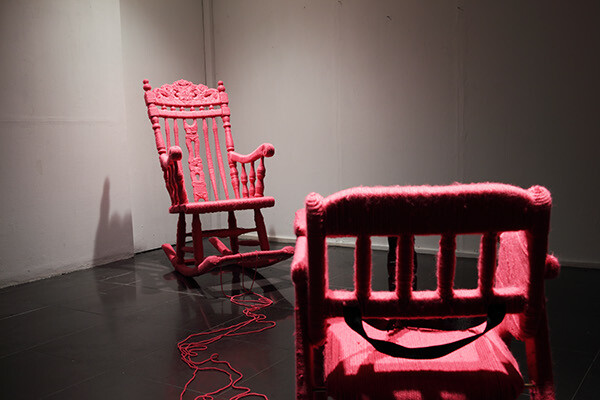 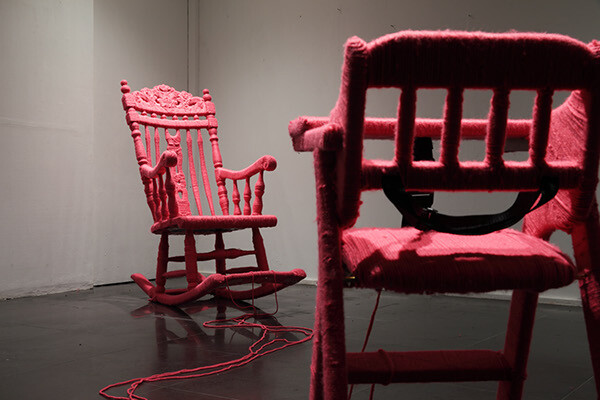 The yarns wrapped around the chair indicate the life stories and the times that have passed by. 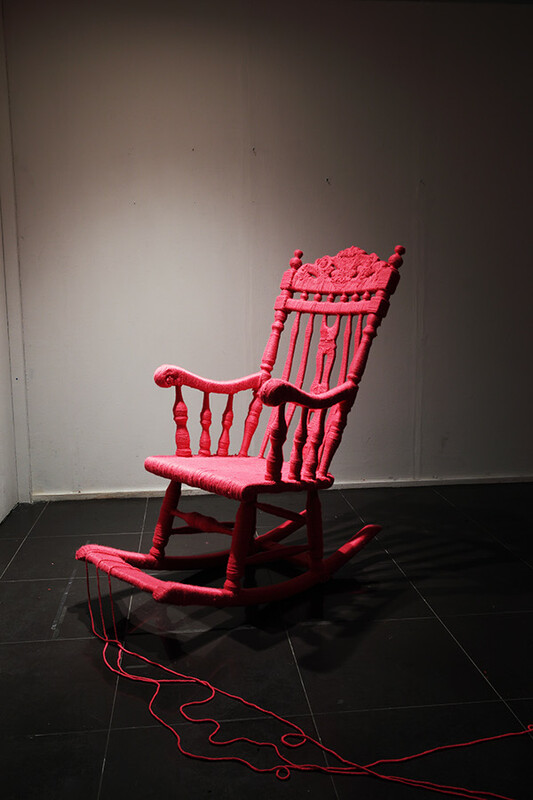 The rocking chair and the baby chair symbolizes the advanced years and infancy, respectively. 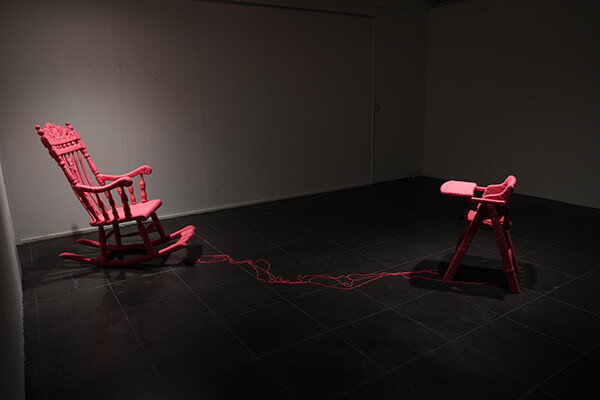 The connection between the two life stages through the passage of time is represented through the linked yarn.